Burgundy and grey is the winning combination this week or so I thought when I decided to wear this look. For a long time I wanted to try this great mix, inspired by the wonderful Collection of Tod's f/w 2014... Well, this is my version with a more plain approach, but I have to admit that a printed dress would have worked even better. I am going to have to replicate this colour combination Veronica, it is divine for winter. You look absolutely gorgeous today in these pieces. My goodness….motherhood is getting close. Take good care and get all the rest you can while you can. Yay 9 months! 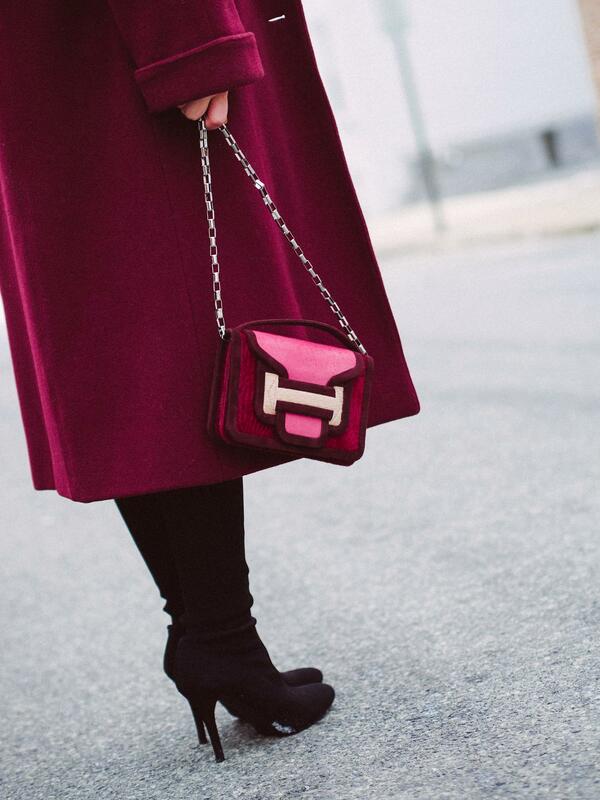 You look stunning in these colors and I am swooning over that bag! Burgundy is one of my favourite and go-to colours! You look gorgeous in this minimalistic outfit! Send you hugs dear Daniella! 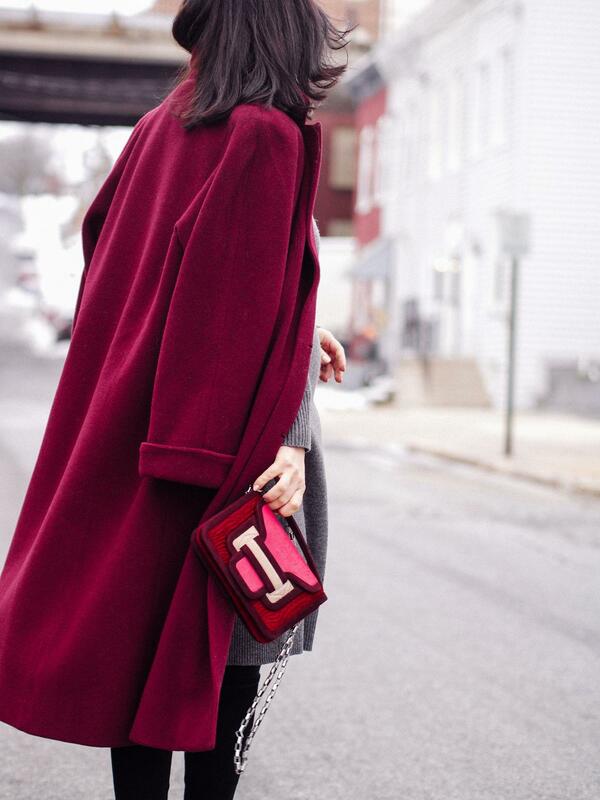 Fabulous coat! The colour is really breathtaking! Also from me best wishes to you and your little boy! Take care!